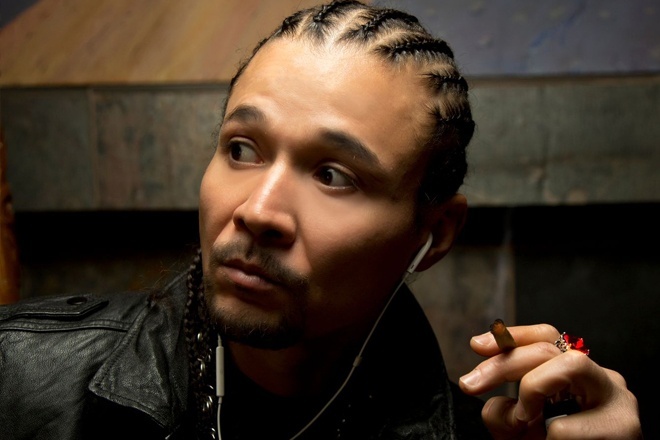 The conversation then focused on Bizzy Bone separating himself from the group for a bit, which he explained happened at a point when he wanted to find himself. He also addressed previous interviews where he said he was homeless and he seemed to be speaking in tongues. During the conversation, the two rappers spoke about their upcoming New Waves album and their thoughts on mumble rap. You can hear more of what they had to say, including their thoughts on today's rap being more melodic, in the above clip. Bizzy Bone and Krazie Bone chopped it up with VladTV, revealing their thoughts on the Illuminati and the possibility of young rappers getting into the society. Bizzy chimed in by saying that a lot of young artists are going the gimmicky route for shock value purposes.